Corporate office has clarified that the existing standard in respect of exemption i.e., 60% in any subject will be applicable to the ensuing examination for screening test qualified candidates and candidates who have written the last examination as per old syllabus. Discount scheme of 20% discount on usage and rental under WI 750 and HOWI 750 plans was provided to Central Govt./ State Govt./PSUs employees, visually impaired, BSNL staff and retired Govt./PSU employees under postpaid Wireless Broadband service (WiMAX) as a regular measure. However, the above 20% discount should not be clubbed with any other special discount/concession. Diessel Price hike by Rs.5.00. Our political parties reaction on this move! Trinamool Congress is set to lead a street rally in Kolkata on Saturday demanding their rollback. Key UPA ally DMK described the diesel price hike as 'very high' and unexpected and sought a roll back of the measure. Party chief M Karunanidhi said the hike would further affect the poor and the salaried class who are already reeling under high prices of essential commodities. West Bengal Left Front chairman Biman Bose condemned the union government's decision to hike diesel prices, saying such "anti-people" decisions will have a "disastrous impact" on the daily life of the masses. "The common people is currently reeling under the pressure of price rise of essentials. This decision of increasing the price rise of diesel by Rs.5 will have a disastrous impact on their daily life," said Bose in a statement. Punjab chief minister Parkash Singh Badal criticised the Centre for the "unwarranted and steep" increase in price of diesel and demanded an immediate and complete withdrawal of this hike. In a statement , Badal said the hike of Rs.5 in price of diesel was absolutely "unrealistic and arbitrary." CPI(M) led Opposition Left Democratic Front in Kerala called for a state-wide hartal against the diesel price increase on September 15. Samajwadi Party announced that it would hold a sit-in against the move across the state. "The move to hike diesel price is anti-people and will increase prices. Samajwadi Party opposes the move and will hold sit-in across the state to protest the hike," SP spokesman Rajendra Chaudhary said. The NCP has demanded a rollback saying the change will further burden on the common man. "The Centre should consider rollback in diesel price and should not put a cap on subsidised LPG especially given the high price of essential goods thereby affecting the common man," NCP spokesperson Nawab Malik said. The CPI termed as "disastrous" the decision to hike diesel prices by Rs. five per litre and restrict supply of subsidised cooking gas to six cylinders per household in a year. "It is a disastrous decision. It will increase the cost of production. The diesel price hike by Rs. five per litre is unprecedented while the decision on limiting supply of subsidised cooking gas to six cylinders per household in a year is unacceptable. We shall oppose it tooth and nail," CPI MP Gurudas Dasgupta said. AIADMK chief and Tamil Nadu chief minister Jayalalithaa demanded immediate rollback of Rs. five hike in diesel prices, besides the ceiling on supply of subsidised cylinders. முதிர்ந்த தொழிற்சங்கவாதியும், கம்யூனிஸ்ட் கட்சி உறுப்பினறுமான தோழர் ஏ.ம். கோபு அவர்கள், இன்று (13/09/12) இயற்கை எய்தினார். சமூகப் போராட்டங்களில் ஒரு ராணுவ வீரரைப் போலச் செயல்பட்டவர் ஏ.எம்.கோபு. சுதந்திரப் போராட்ட வீரரும் இந்தியக் கம்யூனிஸ்ட் கட்சி மற்றும் தொழிற்சங்க இயக்க மூத்த தலைவருமான ஏ.எம்.கோபுவின் 82-வது பிறந்த நாள் மற்றும் 72-வது ஆண்டு பொதுவாழ்வைப் பாராட்டி, கடந்த பிப்ரவரியில் இந்தியக் கம்யூனிஸ்ட் கட்சி சார்பில் விழா நடைபெற்ற பொழுது, அவருக்கு ரூ. 40 லட்சம் நிதி வழங்கப்பட்டது. ஆனால் கோபு அவருடைய சொந்தப் பணமான ரூ.10 லட்சத்தையும் சேர்த்து முழுத் தொகையையும் கட்சிக்கே கொடுத்துவிட்டார். இயக்கம் எடுக்கும் முடிவுகளுக்குக் கட்டுப்பட்டுடவராக, அதனை முழுமையாகக் கடைப்பிடித்த போராளி கோபு. ஏ.எம்.கோபுவின் உடல், சிந்தாதரிப்பேட்டை ஏஐடியுசி அலுவலகத்தில் அஞ்சலி செலுத்த வைக்கப்பட்ட பின், மருத்துவ மாணவர்களின் ஆய்வுப் பயிற்சிக்காக அரசு மருத்துவமனையிடம் ஒப்படைக்கப்படுவதாக கட்சியின் சார்பில் தெரிவிக்கப்பட்டது. (c) the action taken by the Government to resolve the pension issues along with the time frame fixed for the same? (a) The pensionary benefits to the absorbed employees of BSNL are covered under Rule 37-A of Central Civil Services (Pension) Rules, 1972, and the same are being paid by the Government. The pensionary benefits to absorbed employees of MTNL are being paid by MTNL. MTNL employees Associations/Unions are demanding payment of pensionary benefits by the Government. (b) & (c) The details of the action taken, with the present status are placed at Annexure-I. MTNL was established on 1.4.1986 and employees were initially transferred to MTNL on deemed deputation and absorbed in MTNL as per their options. The date of absorption for Group C and D employees was 1.11.1998 whose pensionary benefits are governed by DOP&PW’s Office Memorandum dated 5.7.1989, whereas the date of absorption for Group A and B employees was 1.10.2000 whose pensionary benefits are governed by Rule 37-A of CCS (Pension) Rules, 1972. Rule 37-A was notified at the time of formation of BSNL. The pensionary benefits of Government employees who got absorption in BSNL w.e.f. 01.10.2000 are governed by Rule 37 A of CCS (Pension) Rules, 1972. As per the provisions Sub-Rule 21 of Rule 37-A, the absorbed employees of BSNL are paid pensionary benefits by the Government. After the notification of Rule 37-A on 30.9.2000, MTNL employees/Associations have been demanding for similar treatment regarding payment of pension/pensionary benefits as given to BSNL employees. The matter regarding applicability of Rule 37A to MTNL was considered by Committee of Secretaries in its meeting held on 14.12.2004 in which it was observed that the issue is well settled and should not be reviewed at this stage on the grounds that there are disparities in pay scales between MTNL and BSNL staff and in majority of the pay slabs, BSNL was given one scale below than MTNL. Hence, the existing system of payment of pension would continue. The MTNL Associations/employees are continuously demanding for payment of pensionary benefits to MTNL employees at par with BSNL employees. They are also not supporting for creation of Pension Fund/Trust as required under the Rules. The matter was again discussed in a high level meeting during 2007 and accordingly a Cabinet Note was submitted on 23.2.2009. However, due to differences of opinion among the concerned nodal Departments on the issue, it was desired that the difference of opinion may first be resolved in Committee of Secretaries before placing the issue in the Cabinet. Department of Legal Affairs has asked for fresh opinion of nodal Departments. The opinion of Department of Pension and Pensioners Welfare as well as Department of Public Enterprises have since been received. Opinion on Department of Expenditure is still awaited. Further, as per the discussions held in the Parliamentary Committee of Petitions on 11.7.2012, CMD, MTNL is also exploring the possibilities of MTNL employees’ representatives accepting the BSNL pay scales. In parallel, the groundwork for creation of Pension Fund/Trust for payment of pension to MTNL employees as per Rules/orders has also been initiated by this Department/MTNL. Being a matter of policy, it is not possible to fix any time-frame. Meanwhile, the pensionary benefits to absorbed employees of MTNL are being paid by the MTNL. உள்ளது. அனைத்து கிளைச் செயலர்களும் தவறாது கலந்து கொள்ளுமாறு கேட்டுக் கொள்ளப்படுகிறார்கள். State-run BSNL’s losses widened to about Rs 8,850.70 crore during 2011-12 mainly due to regulatory expenses and non-receipt of funds for its rural landline operations. The company had reported a loss of Rs 6,384.26 crore in 2010-11. Total revenue declined to Rs 27,933.5 crore from Rs 29,687.62 crore. “During 2011-12, we were in a position to arrest losses. However, due to some regulatory issues there was adverse impact of around Rs 3,100 crore on our financial performance,” BSNL Chairman and Managing Director R.K. Upadhyay told PTI. BSNL’s profits started declining continuously from Rs 10,183 crore in 2004-05 before recording a loss in 2009-10. During 2010-11, BSNL losses rose to Rs 6,384 crore mainly due to hefty outgo on salaries and expenses borne by the PSU for procuring 3G and BWA spectrum. Upadhyay said the company did not receive around Rs 1,600 viability gap funding for its rural landline operations from the Government which pulled down BSNL’s income. The Telecom Commission, an inter-ministerial body, in its meeting on September 3 is expected to discuss the issue of providing viability gap funding to the company. Though BSNL CMD did not share any projections on financial performance for the ongoing fiscal, he said that the company is making effort to utilise its assets, building network capacity for handling a large subscriber base and exploring new sources of income which will help company reduce the losses. 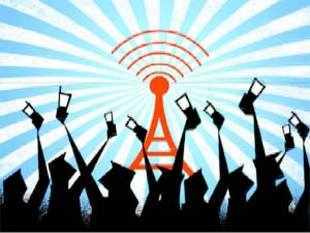 According to the Telecom Regulatory Authority of India, the company had 69.08 per cent and 10.52 per cent market share in landlines and wireless (mobile telephony) connections as on June 30, 2012.